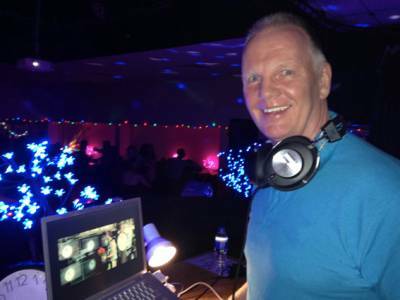 "An Affordable Professional Mobile DJ Service"
For the best book Party People Video DJs specialise in wedding, birthday parties, corporate events, or one off celebration, professional Video DJ Billy Cullen will provide you with a quality DJ service tailored to suit your needs. Specialising in music video DJing using big screens, we can tailor your night to suit your needs, helping ensure a busy dance floor all night long. 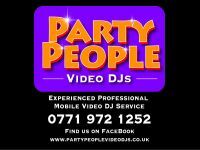 Party People Video DJs Glasgow the professional you can trust. Required by many venues, Party People Video DJs has not provided satisfactory evidence of having current PLI available. Also required by many venues, Party People Video DJs has not provided satisfactory evidence of having current PAT records available. A Method Statement, outlining Party People Video DJs&apos; Health & Safety procedure for setting up disco equipment has not been supplied. "Billy put on a great show. Pre-show preparation consisted of enquiries about age group of guests and about who the party was celebrating.The videos were fantastic and interspersed with some photos that I had supplied. He was only too happy to oblige with requests and the occasional interruption for speeches. A very professional DJ and I would thoroughly recommend him." Party People Video DJs also offers a range of additional party services not directly linked to musical entertainment. Get FREE no-obligation disco quotes from Party People Video DJs and other DJs covering your venue. Take 2 minutes to fill in some basic details and we'll do the rest! If you are contacting Party People Video DJs about an event, it's always a good idea to include the DATE, LOCATION, EVENT TYPE, AGE GROUP and TIMINGS to speed things up!